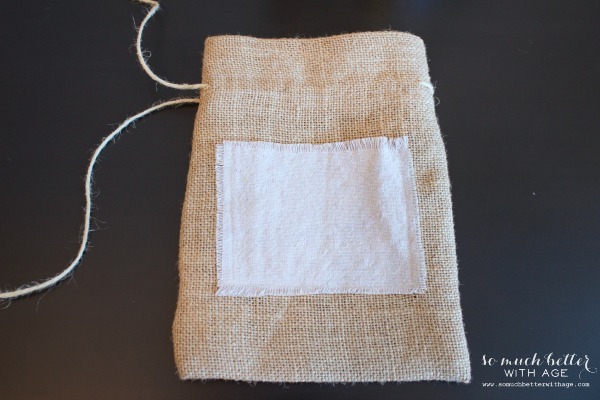 This Christmas try something different and make your own DIY burlap & drop cloth gift bag! 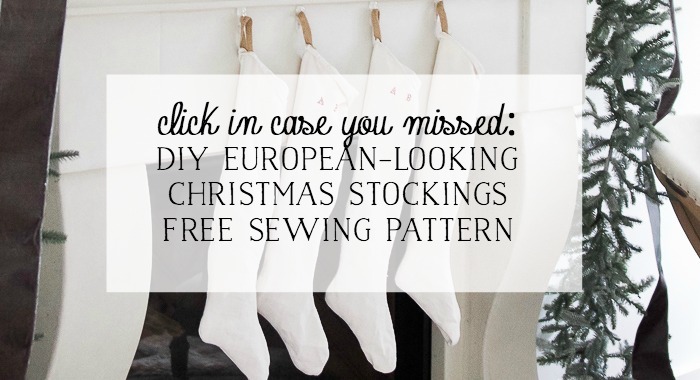 Today I’m on a blog hop tour for Christmas gift wrapping ideas. 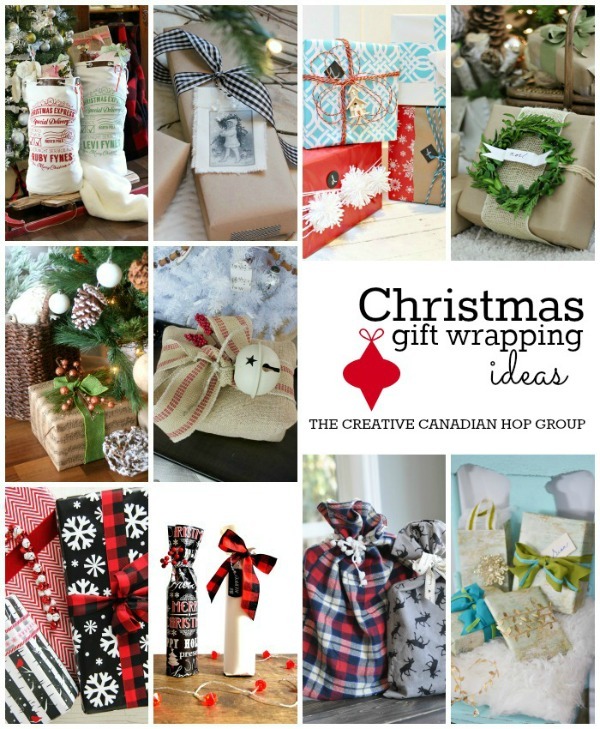 Be sure to visit the other nine amazing Canadian bloggers at the end of this post for more gift wrapping ideas! 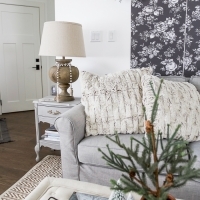 I love natural and rustic textures like burlap, linen and drop cloths. 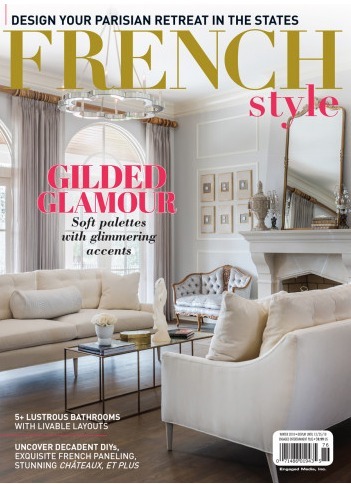 Of course it helps that they are neutral in colour (my fave!). 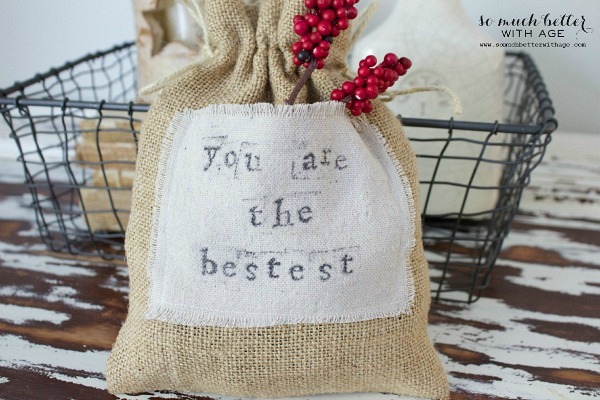 This year I thought a personalized gift bag would be just as sweet as the gift inside. 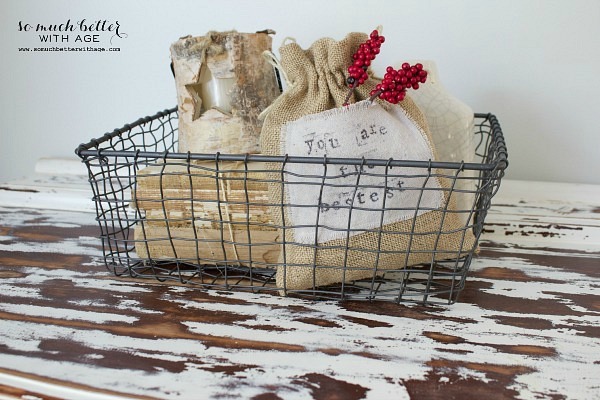 I used burlap, drop cloth and twine. 2. 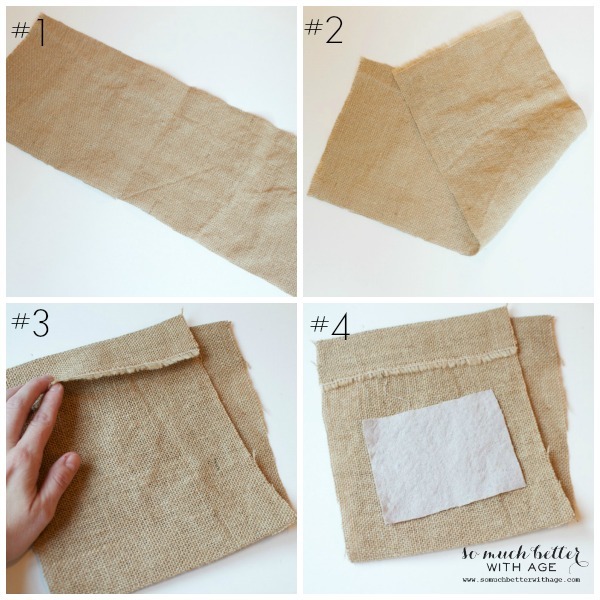 Fold burlap piece in half and iron in place. 3. Fold both end pieces over about 3 inches and iron into place. 4. 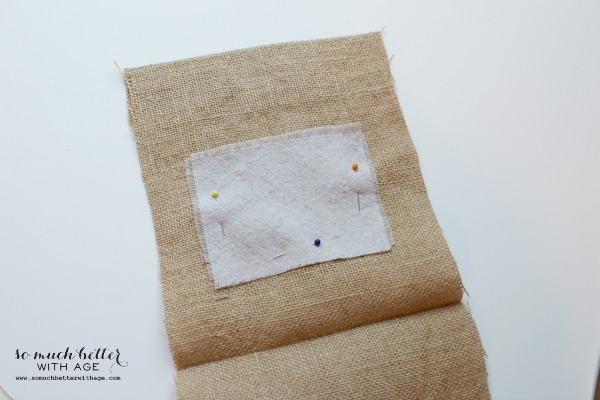 Cut a rectangle from drop cloth for the pocket. 5. 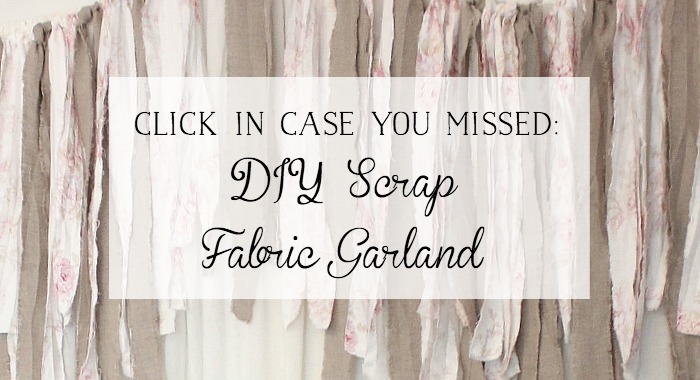 Pull some of the threads from the drop cloth to achieve a frayed edge. 6. Pin the pocket down and sew only three sides (leaving the top edge for the pocket). Make sure to pin it on the side without the flaps. 7. 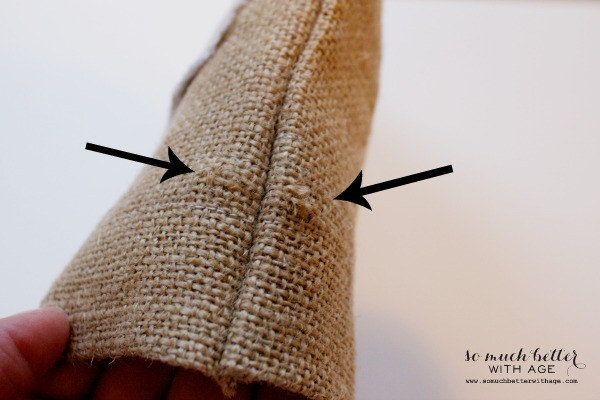 Turn the burlap over and sew two seams only the bottom of the flap on each side. 8. With the pocket facing in, sew the side seams together. Turn right side out. 9. 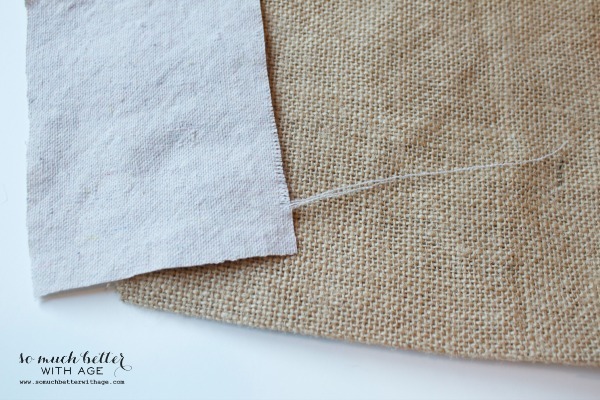 Between the two seams that you sewed in step 7, make two small cuts to thread twine through. 10. 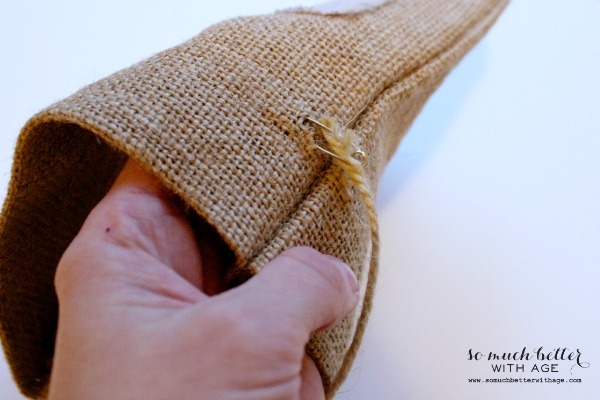 Pin the twine and push the pin through one of the holes on one side and again at the next hole on the other side. 11. One twine piece should loop around the whole bag with extra to tie in a bow. Do the same for the other side. 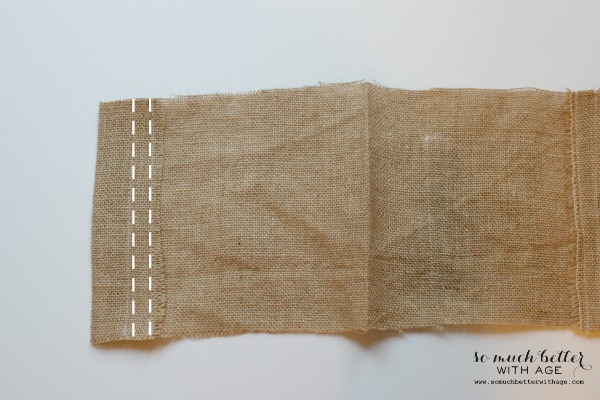 You should end up with two pieces of twine running through that seam pocket you created. 12. With your stamp pad, stamp whatever personalized message you’d like. 13. Fill your bag with goodies and use the pocket for a card, gift card or embellishments. 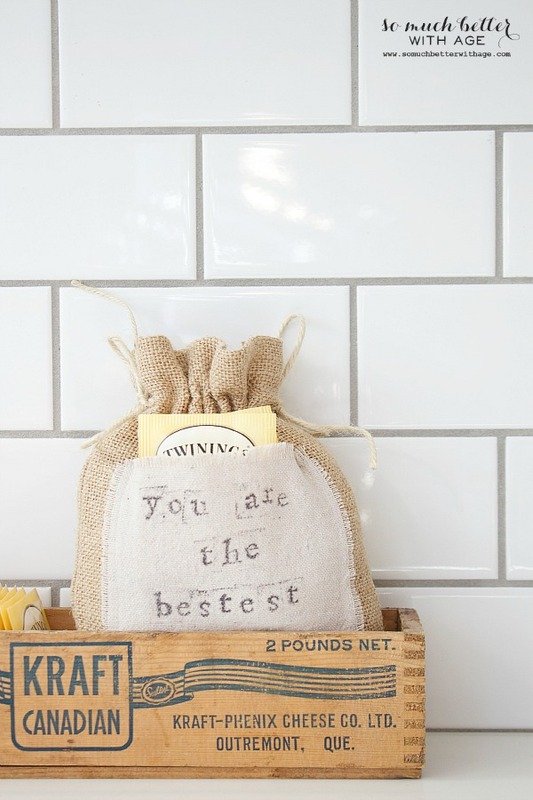 I think it’s the sweetest little bag and someone will love that you made it from scratch. 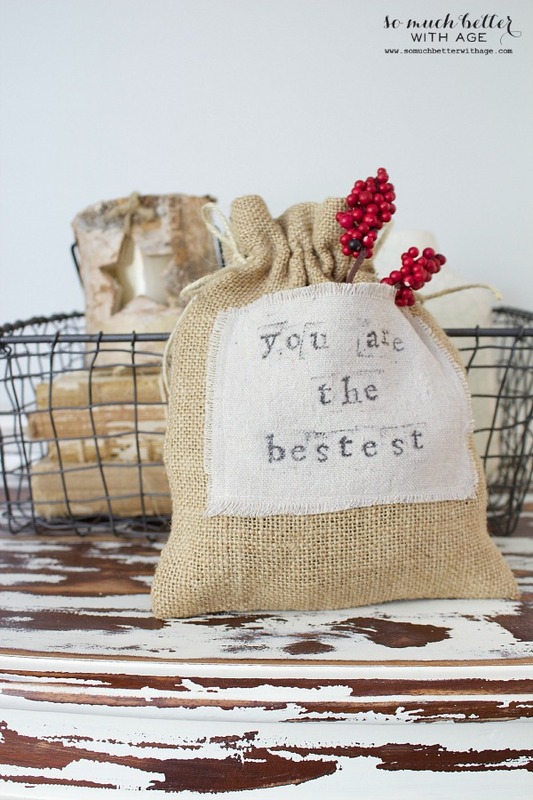 You could easily make it a hostess gift this holiday season as well. I love this little burlap and drop cloth gift bag! Did you know that you are the bestest?! 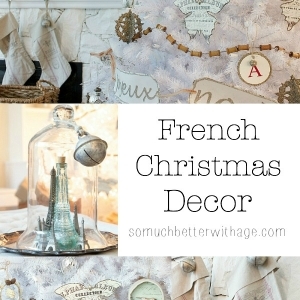 Now be sure to check out what my other Canadian friends did for Christmas gift wrapping ideas. Oh I love this Jamie! They’re so pretty and I love that they can be used all year round! Oh, I love these so much. 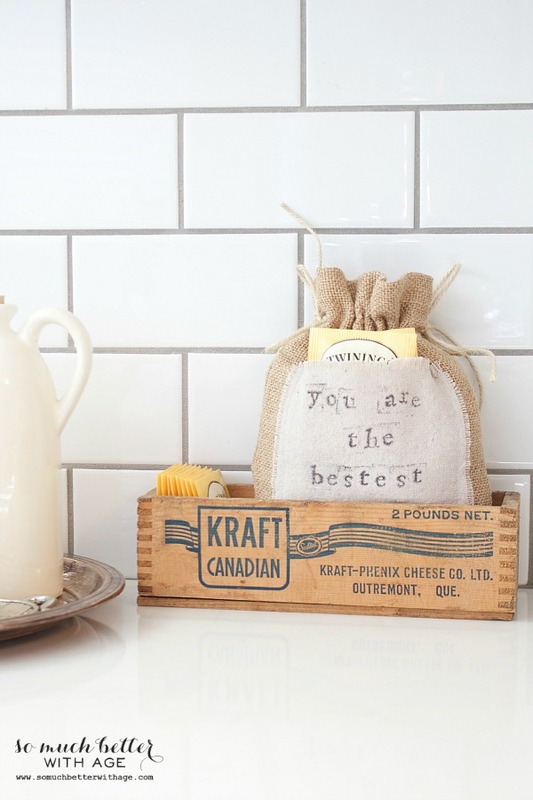 Think about all of the messages you could stamp on each bag- how fun! Very cute idea! 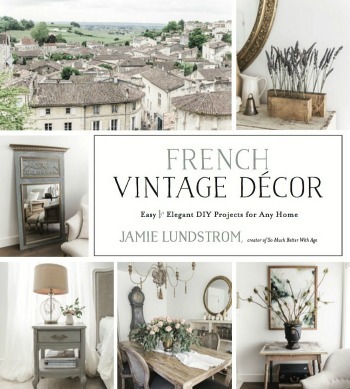 Simple project with stunning results! Very nice and very impressive . 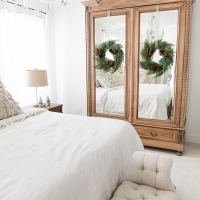 I also love white and earthy tones. 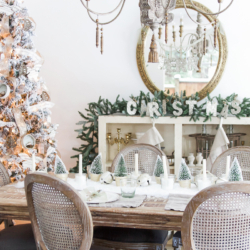 Seeing the white tree makes me wish I would have got one. You have a lot of great talent. 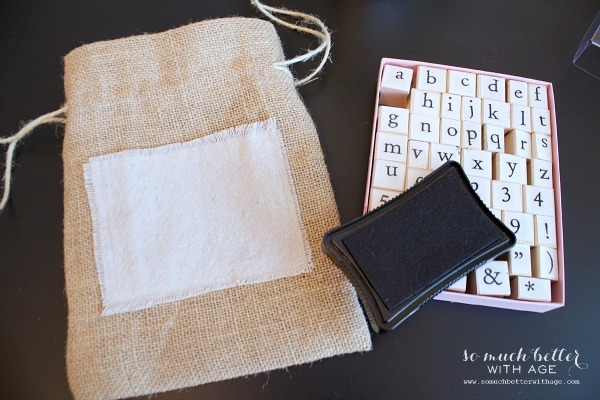 Burlap and drop cloth… what a cute idea and two of my favorites! And can be used for any gift during the year. Some great ideas you shared as well! Thank you!! Awe! This is the bestest! I love it! PINNED! THanks for linking up with Found & Foraged! See you again next Saturday at 8PM CT! 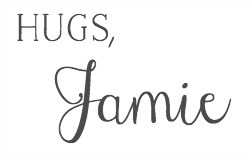 This is so cute and sweet, Jamie! Pinned! 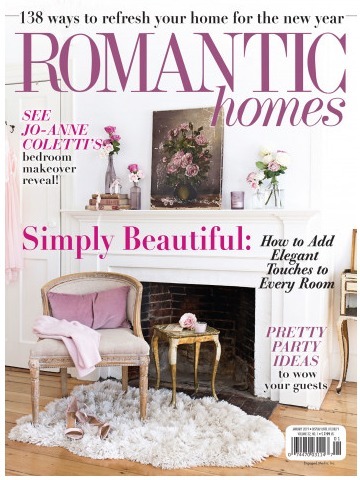 I’m featuring it today over at the Your Turn To Shine link party. Thanks so much for sharing it!